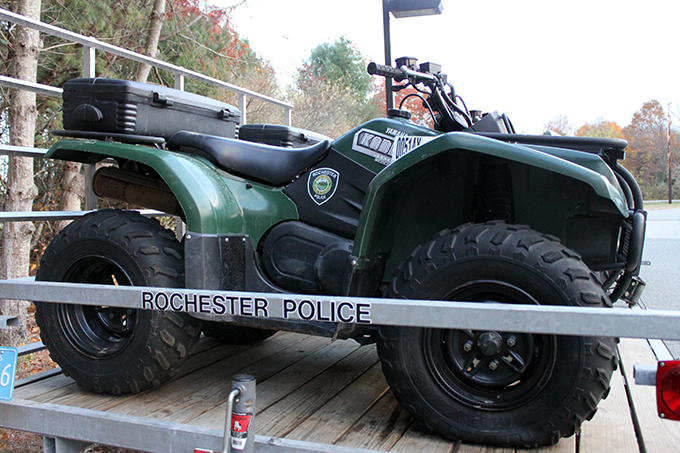 The Rochester Police Department has a number of officers trained as ATV operators. They conduct random patrols of property where ATVs often ride and issue violations for offenses such as trespassing, reckless operation, unregistered, and other recreational vehicle violations. ATV regulations are strictly enforced by the department.